There aren’t many people who will suggest that Kohl’s Corporation (NYSE:KSS) is a subversive threat to our existence as we know it. Lucky for you, dear reader, I am one of them. As our elected officials and fossil fuel lobbyists engage in never-ending battles to ensure we maintain our energy status quo, many corporations are quietly making big investments to brighten our energy future. Today I’m looking at the top 10 finishers on the Environmental Protection Agency’s Green Power Partnership list. The agency ranks 50 entities, and you can see the whole list here. Source: EPA. *Company-owned stores only. The ranking criteria explain why a company like Wal-Mart can rank fifth, despite generating only 4% of its electricity usage from green power. The company ranks first in the nation for on-site green power generation, producing more than 174 million kilowatt hours on-site. 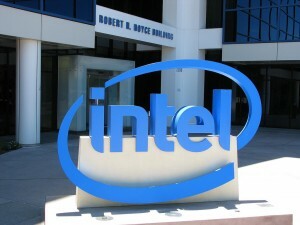 According to the EPA, Intel Corporation (NASDAQ:INTC)’s green power usage has the environmental equivalent of taking 455,000 cars off the road every year. The company generates on-site solar power at several facilities, but it purchases 3.1 billion kilowatt hours a year of renewable energy certificates. The system allows for the tracking of renewable generation, and for customers to buy “green” electricity when there isn’t any available locally. You can read more about RECs here. Microsoft has reduced its carbon emissions by at least 30% compared with its baseline 2007 emissions. The company is now committed to achieving carbon-neutrality, an ambitious goal if there ever was one, especially for a tech company. Kohl’s Corporation (NYSE:KSS) is a bit of a teacher’s pet when it comes to the EPA. It has been listed as the Green Partner of the Year three times since 2009. The company uses on-site solar panels to generate 2% of its electricity, and purchases the rest of its green power. Apple Inc. (AAPL) Losing Power On the Market, But Also Off It? Apple Inc. (AAPL), Wal-Mart Stores, Inc. (WMT), and Why You Pay 235 Times More... The Coca-Cola Company (KO), Microsoft Corporation (MSFT) Among The Dow Jones... International Business Machines Corp. (IBM), Dow Jones Industrial Average (.... Apple Inc. (AAPL), Intel Corporation (INTC) And Three of the Cheapest Tech... Can Advanced Micro Devices, Inc. (AMD) Do This Three-Step Turnaround?